A physical control violation is a Seattle drunk driving crime that imposes severe penalties if convicted, and it is one of the most difficult offenses to fully understand. If you are caught driving a vehicle with a blood alcohol content (BAC) of .08 or higher you can be charged with a DUI, but even if you are NOT driving you can still be charged with a physical control violation. This means that if you are showing signs of intoxication when approached by an officer it doesn’t matter if you are in the passenger seat or the backseat of the vehicle of a parked car, you could still be charged with this serious crime. 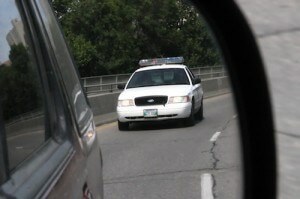 In some instances a person can be charged with a Seattle physical control violation and not even be inside of the car. Obviously, these cases are often complex so you should contact one of our Seattle physical control lawyers to ensure your legal rights are acknowledged by the court. Keep in mind that time is a factor, because you only have 20 days after your arrest to request a hearing. If convicted of a physical control violation in Washington Court you will face mandatory punishments that include fines, a driver’s license suspension, and up to 364 days in jail. Don’t risk getting run over by the prosecution – contact one of our Seattle physical control attorneys and find out how our decades of collective experience can be utilized on your behalf. In certain instances, a defense can be presented to the court that results in drunk driving charges being dropped. These defense strategies are case specific, so it’s important to speak to one of our qualified Seattle physical control lawyers about the details surrounding your arrest. However, if your vehicle was safely parked off of the road when it was first noticed by the arresting officer, then this could lead to your charges being completely dropped. If your vehicle was inoperable, then this too could establish a defense that will hold water with the Seattle Court. As a means of preparation, our Seattle physical control lawyers do the necessary legwork and investigation to make sure you are ready before setting foot in court. You can start getting some answers today by contacting attorney Jason S. Newcombe for a free consultation. You can ask questions and we will provide you with information designed to aid you in making an informed decision about how you would like to handle your physical control case. Don’t waste another minute – contact us today and find out how we can help.